To order any of the paid education sessions listed below, please use this order form. All webinars/workshops were recorded live and include handouts and Q&A with participants. Reporting the right information at the right time in the right way to a variety of oversight bodies is a key regulatory requirement for LTC homes and employees. The reporting imperative and the importance of making everyone at a home aware of their specific obligations has been highlighted at Ontario’s Long-Term Care Homes Public Inquiry, as well as the potential consequences when this does not happen. Take advantage of this timely opportunity to refresh your knowledge and ensure your home is up-to-date on its obligations, as well as on the different reporting formats required by the range of agencies involved. Get a clear understanding of what the specific reporting requirements are for employers and for employees to Ministries, the WSIB, regulatory colleges, and the Office of the Coroner. Most sessions will be led by a representative from each of these bodies who will also be on hand to answer your questions. 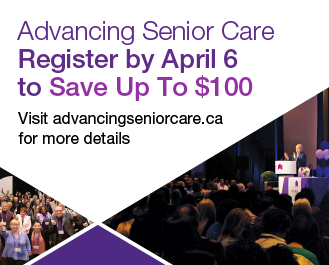 Take advantage of this once-a-year opportunity for an in-depth look into long term care (LTC) funding and reporting requirements. Designed for those new to LTC financial management or interested in enhancing their knowledge, this workshop is a chance to hear the most current information directly from staff at the Ministry of Health and Long-Term Care (MOHLTC). Have your questions addressed and demystify the procedures and processes needed in this complex area. Medical Assistance in Dying (MAID) became legal in Canada and since then, there have been significant new developments related to law, policy and practice that are relevant to long term care homes (and other health care organizations) as well as staff working in homes. This timely session will bring together a diverse group of professionals to discuss these new developments, share a refined understanding of assisted death and highlight approaches being taken to prepare for and respond to requests. A private practice lawyer will provide an overview of the legal landscape, highlighting new developments and exploring the impact of these developments on operations with a focus on issues specific to long term care and resident rights. A senior staff member from the Strategic Policy Branch of the Ministry of Health and Long-Term Care will provide a provincial update on the implementation of MAID and will outline the province’s next steps. The Office of the Chief Coroner will discuss its role, share data, and identify lessons learned from the field that will help health care organizations and staff. A physician and palliative care lead will facilitate an interactive discussion, share strategies and demystify the technical and emotional aspects of the process of MAID. Delegates will hear from someone who has requested an assisted death or who has supported a loved-one through the process. There will also be a jointly facilitated discussion about what is on the horizon. This will include known areas of future focus (e.g. advance consent, mental health, mature minors, conscientious objections), a review of cases that have gone to or are in front of the court and potential future challenges to current law. LGBTQ2 seniors may fear renewed discrimination when they enter the LTC setting. Understand how to care for LGBTQ2 seniors and accommodate a diversity of sexual and gender expression among residents. We will discuss best practices around creating inclusive spaces and programs in LTC homes and highlight the importance of recognizing intersectionality – when people face more than one type of discrimination, such as ageism and homophobia. This session will also discuss sexual consent, capacity and whether substitute decision makers have a say. Challenge your understanding and biases around human sexuality and intimacy among older adults. Pick up tips and strategies for handling intimacy and sexuality in long term care while remaining regulation-compliant. This session will discuss approaches for assessing sexual behaviour and how to manage the behaviour while meeting legal and clinical obligations. Understanding sexual behaviour among people with dementia will also be discussed. Elder abuse may be explicit, or it may occur more quietly. Get an overview on different types of elder abuse, specifically the legal and ethical issues relating to the financial abuse of older adults, who is at risk and what to look for. We’ll work through case examples, provide assessment tools and practical intervention strategies for long term care homes, discuss responsibilities and barriers to reporting, and highlight current legislation and available provincial resources. How can homes deliver high quality care when resources and staff are limited? This session will consider how staff and health care professionals can fulfil their ethical duty to help residents achieve their optimal level of health while also facing difficult resource allocation choices. Participants will learn how to balance individual rights with community benefits and pick up strategies for allocating scarce resources. In this webinar, participants will be taken through common issues such as the scope of the substitute decision maker’s (SDM) authority and disagreements between SDMs, which Power of Attorney for property document should be relied on, advocacy versus abusive behaviour, and respecting a resident’s choices when family members disagree. We’ll discuss the role of family councils and a legal framework for family involvement. In this webinar learn about the role an employer can or should play in assisting an employee with addictions, such as recreational marijuana, alcohol, drugs and prescription medications.. Understand the mandatory reporting obligations under the Regulated Health Professionals Act and the Fitness to Practice Process. Hear from a lawyer about when termination is appropriate and when there will be a duty to accommodate. “Right to manage” means managers in long term care have the right to exercise their own judgment when it comes to making decisions relative to development of strategic direction, establishing standards, utilization of personnel, the delivery of quality care/service, and the allocation of resources. However, in the world of labour management, this right sometimes comes under fire when the manager makes decisions that conflict with the agendas of unions. In this webinar, participants will learn about the ACT Model of Leadership as well as tested and realistic strategies from the “Leaders Playbook” to help them turn conflict into collaboration without compromising principles. Absenteeism can be a major human resource issue in the workplace, especially for long term care homes. In this webinar, learn how to identify innocent versus culpable absenteeism, when and how to ask for medical information, key elements of effective attendance support programs, and how to use incentives, coaching, and discipline to reduce absenteeism. Investigating serious health and safety issues, particularly incidences of workplace violence and harassment is often difficult, uncomfortable and troubling for all parties involved. In this webinar, participants will look at best practices in conducting thorough, unbiased and comprehensive investigations into violence and harassment and how to adapt them to a broader range of workplace health and safety issues. Participants will also understand how to build a foundation for an investigation, roles and responsibilities for those involved with the process, evidence collection procedures, as well as how to conduct interviews and properly document the investigation. Human rights issues arise on a daily basis in the workplace for long term sector employers and service providers, yet these issues are increasingly more complex and challenging to manage. From harassment complaints, to employee requests for particular forms of accommodation, human rights issues can impact a broad range of workplace matters. As service providers, long term care homes must also consider these ever-evolving issues in the context of potentially discriminatory policies or conduct in the provision of services, the accommodation of client disabilities or other Human Rights Code grounds and accessibility to services. Converting operational strategies and policies to reality is critical to the success of any organization. How a policy is developed and implemented will bear significantly on whether an employee will “buy in” and whether the policy will withstand arbitral scrutiny. This webinar will explore key regulatory policies that are required by legislation from an employment, occupational and safety perspective. Participants will also learn when and how a policy will be found to be enforceable, including a review of examples from the case law such as the “vaccinate or mask” litigation. This popular annual webinar will talk about important developments in human resources law over the past year, and the key trends to think about for 2018. Topics will include an update on bargaining trends in the LTC sector, key changes under the WSIB regime, labour and employment update with a focus on Bill 148, human rights, resident abuse and neglect cases, a labour relations case law update, and more! Social media presents opportunities and dilemmas for its appropriate use among residents, family and staff in LTC. Find out where the privacy line needs to be drawn, the responsibility of homes regarding implementation of social media-related policies, and hear from a risk management expert about tools to protect your home when it comes to digital information, cyber-liability and breaches on social media. Video surveillance poses significant challenges for LTC homes and its use invokes a mix of resident, staff, and organizational needs. This session discusses the law related to all types of surveillance (overt and covert) and shares practical tips, as well as a policy, from a member organization. Homes and organizations signing on to any Electronic Health Record (EHR) system are required to sign privacy and security, as well as data sharing agreements. Learn the types of policies you need to have in place, as well as the rules and requirements to these agreements, and how to access, request and safeguard personal health information records in your home. This session will delve into issues faced by LTC homes when there is a privacy breach. Participants will learn about the common causes of privacy breaches, how to manage and notify individuals of privacy breaches, what the expectations of the Information and Privacy Commissioner (IPC) of Ontario are around notification and reporting, and understanding the recent changes to health privacy legislation and amendments to the IPC’s code of procedure. The protection of personal health information and individual privacy is crucial in health care, but the long term care (LTC) environment presents special challenges when it comes to confidentiality. Learn how privacy laws impact your residents, staff and organization in this timely and relevant webinar. Participants will hear about how privacy laws relate to LTC homes, understand the rules within the Personal Health Information Protection Act (PHIPA), and learn about roles and responsibilities of privacy officers in LTC homes. long-term care homes and outbreaks of these illnesses are very disruptive to operations and normal “life” at affected organizations. Most importantly, they pose a health risk to both residents and staff. As a result of this dual risk, both the Ministry of Health and Long-Term Care and Ministry of Labour have expectations that workplaces must follow. In this webinar, the Public Services Health & Safety Association (PSHSA) and Public Health Ontario will “demystify” the reporting requirements to both Ministries and highlight the importance of early detection together with the timely implementation of outbreak control measures to minimize transmission of infection for the protection of residents and staff. This webinar will review common forms and policies used in long term care homes for health decision making and advance care planning (ACP) to help you identify the trouble spots and where changes might need to be made. In particular, information on “Level of Care” forms will be analyzed to explain why these forms are so problematic. Participants will leave the webinar with information on how to review your own forms to make changes to improve consent and ACP in practice. This webinar will discuss power of attorney for property and how it may impact your home’s dayto-day operations. We will look at the tests for capacity to grant a power of attorney for property and to administer property. The issue of abuse of finances by the attorney for property or the guardian of property will be discussed and tell-tale “red flags” will be reviewed. We will also review reporting obligations and provide case studies to apply what has been discussed throughout the webinar. Learn how to address and mitigate financial abuse and fraud in your organization. This webinar will delve into some of the more prevalent risks that are faced by long term care homes and housing providers and their staff and residents, including issues related to failure to pay accommodation fees; loss of resident property; the use of cameras to assist investigations and/or deter financial abuse; locks on doorways; the importance of employees protecting personal items; theft of narcotics, personal belongings or identity; various scams and much more. The decisions an employer makes at the beginning of the employment relationship will often dictate the decisions it must make at the end. The goal of this webinar will be to assist employers in both of these difficult decision-making processes by outlining some of the most important considerations at both the start and end of the employment relationship. Topics covered will include pre-employment screening, crafting of effective employment contracts, applying a progressive approach to employee discipline, and terminations for just cause and not-for-cause dismissals. Risk management programs are crucial in all long term care (LTC) homes as they provide a standard for quality of care, assist homes to reduce losses, and help meet provincial legislation. Hear from a risk management specialist what the top claims are in LTC, how to mitigate those risks in your home, and the importance of using risk assessment checklists. Participants will also learn about the risk framework developed by St. Joseph’s Health System, which is designed to allow organizations to assess, determine and mitigate risks related to business, resource and compliance. The framework can easily be customized to suit the needs of any organization, allowing leaders to closely monitor and prioritize risks while avoiding waste of human, financial and capital resources.